Have you ever come across the term ‘theological ethics’, and found it mighty daunting? As though two words consuming so many syllables could only be the interest of scholars? Or perhaps this is the first time you have heard that phrase, which could be sparking a range of feelings about what’s to come– trepidation, intrigue, disinterest, or all of the above. But what if I told you that even if you’ve shied away from it, or never heard of it at all, if you’re someone who reads and seeks to understand the Bible regularly, you have probably engaged in theological ethics? Among many influences the Bible is shown to have in the third part of The Bible in Australia, one is in the capacity of everyday Christians to think ethically about the world around them and the decisions in front of them. “Bible and Nation”, canvasses a range of events spanning the late 1800s through to mid-1900s. 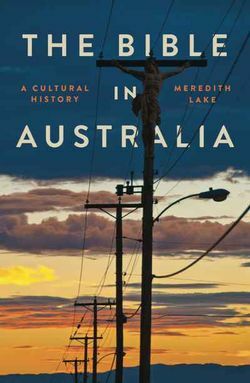 In this part of the book, Lake focusses the lens on ideas and events that played a part in building an Australian concept of nation, and where the Bible fell in all of this – sometimes being instrumental, sometimes standing opposed. Reading through, one idea that stood out was the importance of a rich devotional life for the everyday person. At so many junctures throughout this section of the book, there are descriptions of people deploying a deep and developing Christian ethic in their real world and on real issues presented to them. In some cases, we read of those in positions amongst the most influential in their time and place, such as the key figures of post-Federation politics, deliberating their own stance on the swearing-in oath in light of scripture. Then of course this swearing in positioned them in an office that invited yet more and more ethical questions. In other cases, Lake brings the everyday person before us. We read of the local woman engaged in the Women’s Christian Temperance Movement, preserving the safety of those vulnerable to mistreatment from those abusing alcohol, and later taking up the cause of women’s suffrage, all in order to act upon the Bible’s picture of the full humanity of women. Next we hear of the everyday young man, faced in war time with the question of whether taking up arms in their context accords with the Bible’s teaching. From the most influential person to the most everyday, this history of the Bible in Australia bears witness to just how applicable the Bible is, no matter one’s standing or influence in society. What’s noteworthy in observing this is that theological ethics, the process of synthesising theology and applying it to life, is not simply the foray of the learned. Australians with all sorts of roles in society and ethical decisions to make are shown to do just that. Decisions about life and faith are undergirded by informed, synthesised Biblical convictions. But for the everyday person, the person not bound to a desk, pontificating on ethical hypotheticals, how is this coming about? Throughout part three, Lake draws what she terms “the devotional Bible” to our attention, and it points to one possible answer. For the everyday person, living in the midst of real dilemma, or even rapid social development as in this era of building Australian nationhood, a rich devotional life lays a solid foundation for ethical thought, even if we might not realise it at the time! A persistence in widely reading, marking, learning and inwardly digesting God’s word piles together the building blocks we need to begin drawing upon the whole counsel of scripture in responding to the more complicated moments in life. As the everyday people that I imagine most of us are, we might consider ourselves as people who ‘just read the Bible’, seeing ourselves a step or many removed from the study and application of theological ethics. Yet in reading the Bible for ourselves with any intent to understand the parts alongside the whole and grasp how each of these come together through Jesus to speak into our real world, it naturally becomes an exercise in ethical thinking. This was evidently what was taking place in the lives and habits of some of the subjects in The Bible in Australia, and ought to be the tools with which we hope to be equipped through our own daily reading of God’s word.